“I have always approached electroacoustic music as an art of sonic re-contextualization. And it was as such that this genre was born. Objects, de-contextualized from their origin, reunite and in the aspect of their diversity they create new aural worlds, known also as musical works. While contributing to a new sonic discourse, objects become more complex, interrelating and forming a whole that is greater than the simple sum of its parts. The way in which this is realized is what some call the ‘musical language’ of the composer, although personally I prefer to think that such ‘discourse’ does not necessarily constitute language per se, but rather another kind of structural conception that is of itself and that responds to its own nature. ‘Arak Saya‘ shows a possible evolution of said discourse in the music that I wrote during the last decade. However, it is presented here in reverse order, as involution or, better still, as de-evolution. This way of seeing time ‘backwards’, where the past is ahead and the future behind, is characteristic of the Aymara cosmovision, from which the title of this album also arises. ‘Arak Saya’ means something like ‘the place above’, which denominates the geo-socio-political organization of the Aymara people as opposed to ‘Manka Saya’ (place or part from below). This is, moreover, the title of the only mixed work present here (for tarka and electroacoustic means). Despite an eventual discursive evolution, works distant in time like ‘Epitunga’ (2006) and ‘Arak Saya’ (2013) itself demonstrate common influences like, in this case, the Andean Highlands, or ‘Desembocaduras’ (2008) and ‘Glosa de Clímax Púrpura’ (2012), that use sounds of Mapuche instruments, symbolizing the resistance of this people against colonizers and etnocides. Thus, changes in time have been in the aesthetic and technical domains rather than in symbolic aspects. Still with exceptions, I believe this production –which goes from the end of 2015 to the beginning of 2016– could be divided between a before and an after in relation to my contact with the theories of Pierre Schaeffer regarding the sound object and typo-morphology, a phase that began with ‘Desembocaduras’ (2008). At the same time, another evolutionary level could be observed in the field of textural complexity and density: at the beginning I was working normally –by sheer precariousness– with minimum sound materials, trying to extract something interesting by means of their ‘Explotación’ (‘Exploitation’) (EP released in 2008 by Menthe de Chat and TimeTheory netlabels). Over time, the density and variety of materials was increased, reaching an apex in ‘Convolved Dream’ (2016, a work which I composed especially to finish this album), whose poly-spaces and multi-layers arise from a discourse overcharged with disparate information. What could be argued as a constant in the compositional aspect is that the works should always represent a challenge for me. This is say, all were conceived as experimental ‘studies’ in which I had to solve issues that were specific to each. 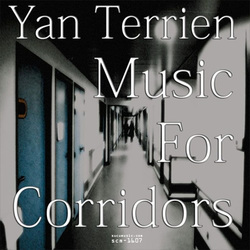 Music For Corridors magnificently renders that sense of waiting. Each track infact shows the multifaceted aspects of a waiting in a hospital corridor, whether it is you waiting for your own fate or one of your loved ones is. A waiting which sometime is trustful, powerless, serene, hopeless, heroic, hopeful. It’s a music that’s plenty of intense feeling and emotion, it’s a music that empowers the listener to understand further dimensions starting from lucidly observating details, common objects, views, as the songs’ titles suggest. The album is mainly piano based, melody and harmony of each track develops accompained with light synths sounds and textures, quirky noises and low distant voices. The sensation is just like if our thoughts were focused on their own, barely distracted by what comes around. Bjorn Jordan is a musician who already know, being a member of Phobos 3. 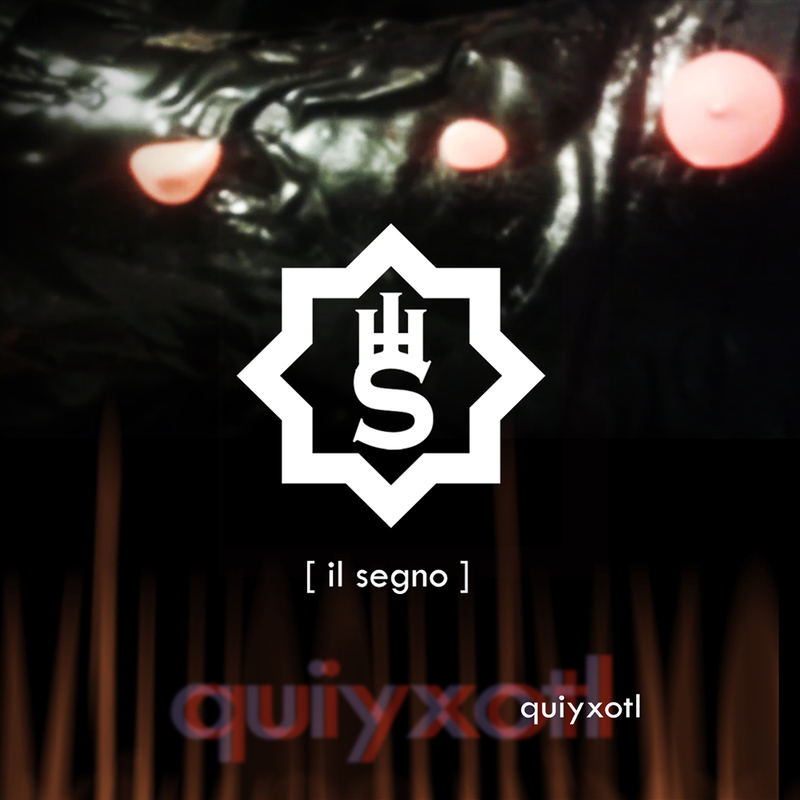 Here with Matteo Pinna at the drums gives us the new single of Ish The sign, a very interesting project that takes us between esoteric mysteries, Tool and good writing at the edge of wet forests on the edge of the sea . You will be impressed by the power of images to what is Bjorn, or a modern shaman, who leads us where he wants, where there is peace. The skillful composer Marco Lucchi reafirm his talent once again with this lovely music album presented to us under the name Se da lontano. His particular atmospheric sound have the right balance between the classic and vanguard worlds. Music by Marco Lucchi except for “Psiche Abbandonata”, music by Matteo Marchisano-Adamo and Paulo Chagas, recomposed by Marco Lucchi. Marco Lucchi – piano, mellotron, synth and tools with Paulo Chagas – oboe and Matteo Marchisano-Adamo – piano, in “Psiche Abbandonata”. “Sinfonía para un hombre solo… en su casa” (Symphony for a man alone… in his home), a piece composed in the second half of 2015 based on recordings made in the parks of the neighborhood of “Conquistadores” in the city of Medellin, in apartment 203 of the building “Los Vikingos” in the same neighborhood, and on the day of San Jose in the year 2013 or 2014 in the district of Santa Elena on the outskirts of Medellin. This piece is a tribute to Pierre Schaeffer and Pierre Henry, dedicated to María Juliana and our new home; to Peluza, Azuka, and Mizu and their new parks, and to the men alone in their houses full of possibly expressive sounds. Almost 20 years later HYPERCUBE is releasing his second full-length Album which embraces all sonic explorations and experiences achieved during this time. This Album focuses on experimentation with extensive use of software effect plugins, audio editors and sound processors within the computer environment. 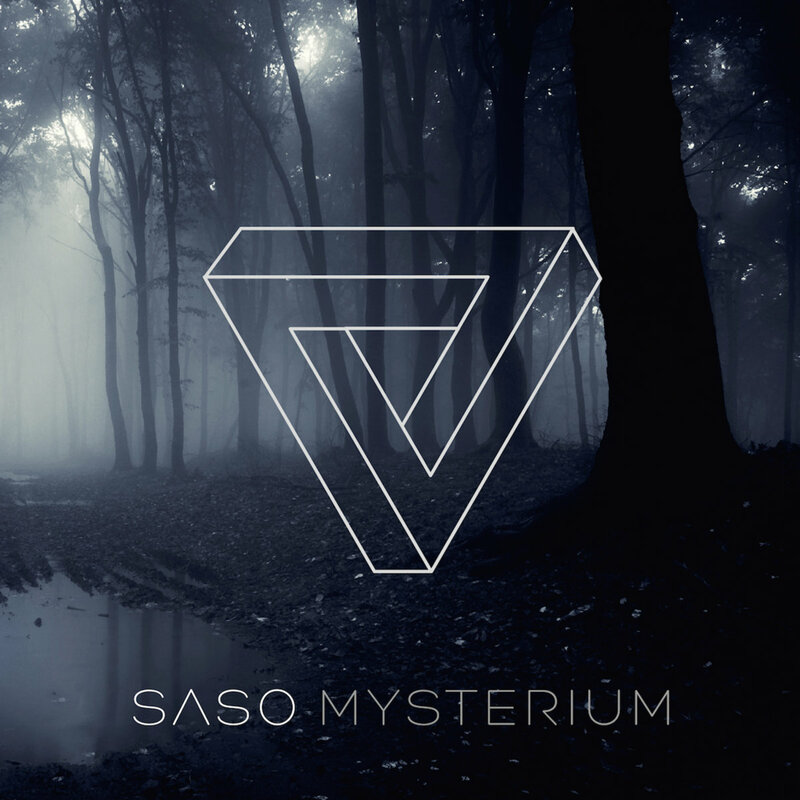 Dublin based duo Jim Lawler and Ben Rawlins (aka Saso) return after a 5 year hiatus with the release on their 5th studio album titled Mysterium. Where the duo’s previous albums centred around guitar and vocals, Mysterium is primarily a collection of piano based instrumentals occasionally lit by Lawler’s fragile vocals. The band abandoned formal structure letting the music unfold naturally, using silence and room ambience as instruments in themselves. Replacing guitars with the more pastoral sounds of an upright piano and acoustic organ, the album was recorded in one room and the duo invited musicians from diverse musical backgrounds to perform certain parts and improvise around sounds and melodies. The compositions are sprinkled with acoustic drums, double bass, woodwinds, brass and neo-classical vocals adding moments of colour and contrast to the otherwise minimalist sound. 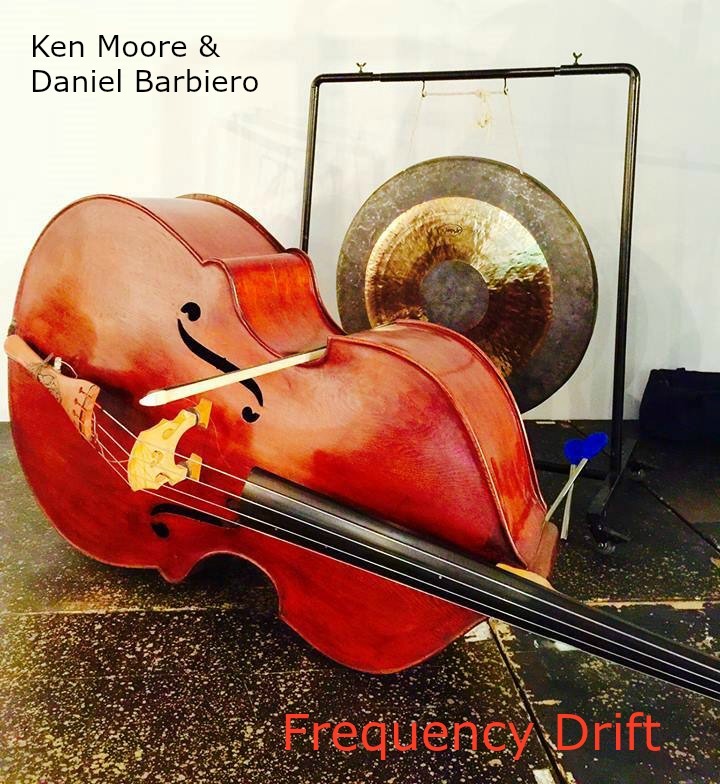 frequency drift is a collection of seven collaborative compositions for double bass and tam tams. the compositions were created sequentially: the double bass parts were composed and recorded first, after which the tam tam parts were recorded and mixed with the bass parts. the appeal of the project lay in the opportunity to create work exploring the compositional possibilities opened up by the subtle timbral dissonance between the double bass’s bowed strings and the tam tams’ struck and rubbed metal. Italian suffering songwriter Uglisse meets the weird master Hank the Think Thank in this really uncomfortable album. Mmh, “enjoy”? “Óscar Santis, great artist of respect and renown, it has already been several years since I’ve known and recognized his trajectory, and it never ceases to be a true luxury and pleasure to hear his sounds. On this occasion he delivers sounds sufficiently well worked, so much so that they remind me of the late Akifumi Nakajima in the sense of achieving true soundscapes, with a density still greater than that to which one might become accustomed. “Óscar Santis, gran artista de respeto y renombre, hace varios años ya que conozco y reconozco su trayectoria, y no deja de ser un verdadero lujo y placer escuchar sus sonoridades. En esta ocasión entrega unos sonidos bastante bien trabajados, tanto así que me recuerdan al difunto Akifumi Nakajima en el sentido de lograr verdaderos paisajes sonoros, con una densidad aún mayor a la cual se pudiese estar acostumbrado. 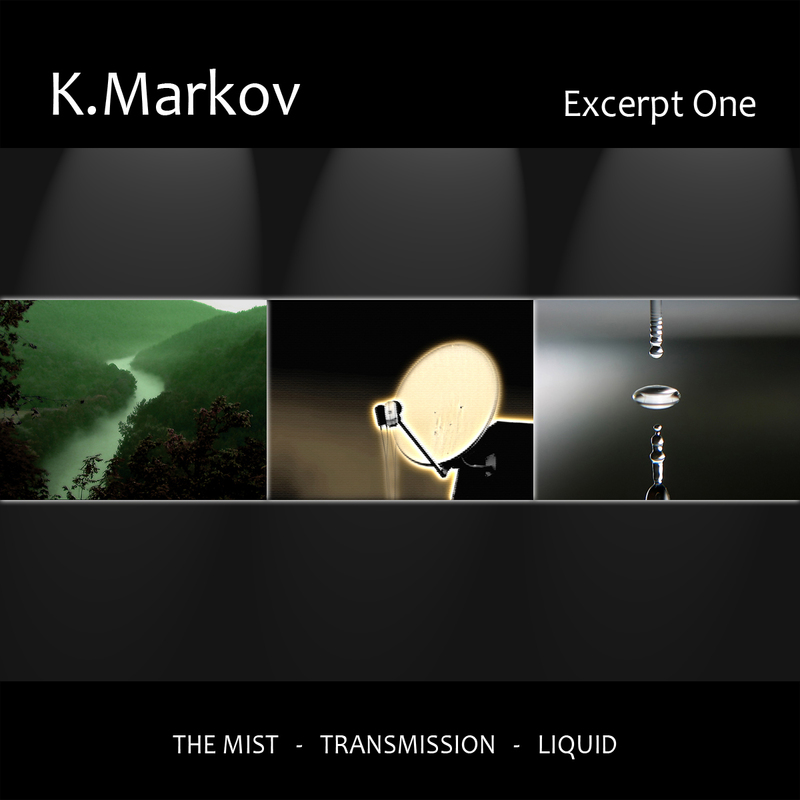 The first release for 2016 is from guest artist K.Markov. A ten track ambient album showcasing a selection from three of his existing albums – The Mist, Transmission and Liquid, which you can find on his bandcamp page. new release by Boucane ( aka Muhr, ex-Camomille owner ). Hopooe is the electronic music project of Martino Mostacci, musician and composer of soundtrack for cinema, documentaries and modern dance performance. Written,produced and recorded by Martino Mostacci aka Hoopoe. Photo artwork by: Sherbert H.
Lotus by Hoopoe aka Martino Mostacci is licensed under a Creative Commons Attribution-NonCommercial-NoDerivatives 4.0 International License. “For reasons difficult explain and of a very distinct nature, the release of this musical collection has recently become possible to complete. We ask forgiveness from the authors, but we believe that, as in many other fields, it is better late than never, especially in this case in which works remained suspended in time, awaited by restless ears and speakers disposed to sound them. What every believer needs to know about post-modernism. Second edition of the compilation organized by the network ‘Un altro trapiantato musicale’ made possible by the collaborations between different musicians from different realities working together in a net-collective.